The Anthony Davis situation in New Orleans is no longer the only major headliner leading up to the Feb. 7 NBA trade deadline. 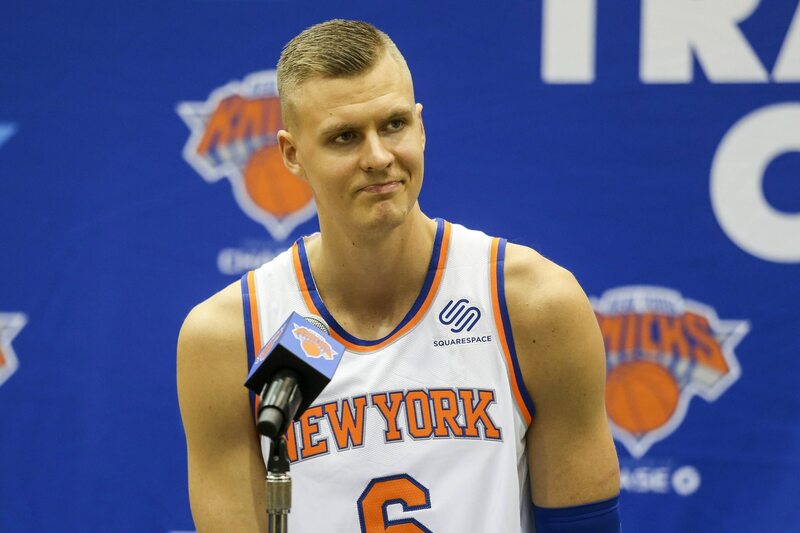 ESPN’s Adrian Wojnarowski reported earlier on Thursday that injured New York Knicks star Kristaps Porzingis met with the team’s brass and showed displeasure over the direction of the long-downtrodden organization. Now, according to Woj, the Knicks were left with the feeling that the Unicorn does in fact want to be traded ahead of the deadline. Sidelined since tearing his ACL last season, the 23-year-old Latvian remains one of the best young players in the game. Prior to suffering said injury in 2017-18, Porzingis averaged 22.7 points and 6.6 rebounds in 48 games. Still not even in the process of a rebuild, the downtrodden Knicks could add a ton of young players and future draft assets if they were indeed open to moving the impending restricted free agent. Whether that happens within the next week remains to be seen. But the ball appears to be in the Knicks’ possession right now.